It needs to be there for closure." Saturday, January 17, 2004 - 9:00 AM Yes, it does, Dave - I wish we could find it. 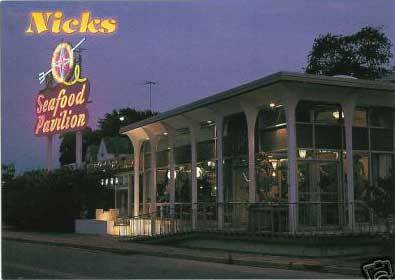 YORK -- There seemed to be something for everyone Saturday at the auction of items from Nick's Seafood Pavilion. Not that everyone got what they wanted. Hundreds crowded into a warehouse at Victory Industrial Park to see mementos, kitchenware, furnishings and decorative objects go on the block. The total take, said auctioneer Larry Makowski of Express Auction, was between $200,000 and $250,000. 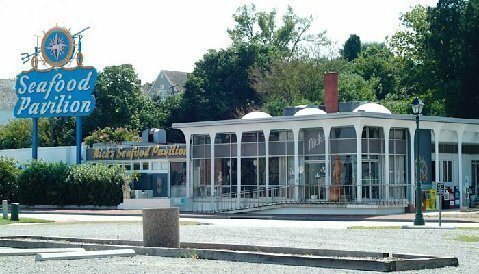 An auction Friday of kitchen equipment from the landmark restaurant that fed locals and travelers for 60 years brought in $9,000. The money will go to York County, which bought the riverfront property and will build a parking deck there. Winston Collins of Newport News had his eye on a bronze sculpture of a woman. He wanted it to go with a pair of figural oil lamps that he bought at an earlier auction of furnishings that belonged to restaurateurs Mary and Nick Mathews. Collins went home empty-handed, though he was prepared to pay up to $2,500 for the 23-inch-tall sculpture. About 15 people bid on it, he said. The sculpture went for $4,000. "I am surprised there are so few dealers here," said Lana Hobbs Wolcott, who owns an antiques business in Norfolk. She bought a pair of wall sconces, 48 inches tall, for $400. "They were dirt cheap," she said. And she was kicking herself for not buying a pair of bronze sconces that went for $1,400. A 10 percent "buyer premium," or auction fee, was added to the successful bid on each item. About 2-1/2 hours into the sale, Wolcott said, "So far, things have gone way, way under market" - except for sentimental items, which people are willing to pay more for. 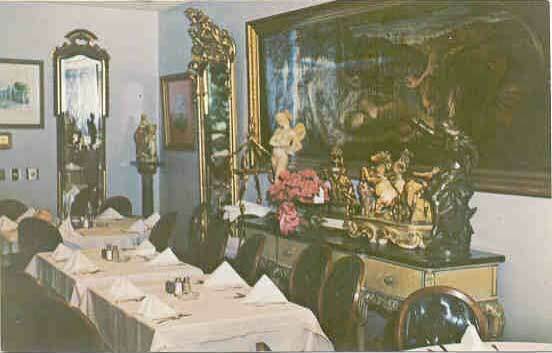 The catalog listed 228 items or groups of items - old menus, mirrors, one of Nick's cigarette cases, paintings, cupids, vases, urns, chandeliers, you name it. 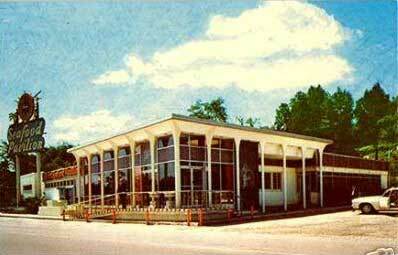 The popular restaurant was nothing if not an experience in stuff. Sheila Majka, who lost her Seaford home to Hurricane Isabel, looked for light fixtures for her new home. "My daddy used to bring me to Nick's back when I was a little girl," she said. Majka noted that many items were obviously used. "A lot of this stuff was damaged - but that was Mary [Mathews, Nick's former owner], that was part of her charm." Jonathan Romberger of Gloucester bought - for $440, plus the 10 percent fee and sales tax - a 14-inch-thick butcher block that was dovetailed and held together with wooden dowels. He planned to put it in his kitchen to use while cooking. "It had to be there from the beginning of time," he said. "I thought it was going to go for a lot more." Joe Ball was there for different reasons. "They would turn over in their graves if they knew this was going on," he said of Mary and Nick Mathews, his employers from 1971 to 1982. Mary, who died in 1998, left the property to the Jamestown-Yorktown Educational Trust, which sold it to the county. Nick died in 1983. They had no children. Mary hoped that the foundation would carry on with the restaurant, Ball said. He recalled the couple's philanthropy, small and large. "They gave everything away," he said. "Anybody in uniform never paid, never." Once, after two uniformed men ate on the house, Mary sent Ball on a mission: "Joe, Joe," she said, "go out and see what kind of car they get in." "They were dogcatchers from Maryland," Ball said with a laugh. But it faded fast. "Ten years from now, people won't know who Mary and Nick Mathews were," he said. "It's a shame, because they did so much." Twenty-five years ago today Janie and I enjoyed one of the best, the most unusual and the most satisfying of 4th of July celebrations ever. On July 4, 1984, the Navy commissioned the USS YORKTOWN (CG-48) at the Naval Weapons Station pier in Yorktown, Virginia. We were there, with hundreds of others. A few years prior to that event, the WW II crew of CV-5, the first of two aircraft carriers named YORKTOWN which were built by Newport News Shipbuilding held a reunion in Williamsburg. Many of them were survivors of their ship's sinking during the Battle of Midway. Learning of their reunion beforehand, I suggested to the yard's PR Department that those veterans each be provided with a packet of memories of their ship, courtesy of the shipbuilders. We managed to find a number of items in the s/y files, reproduced them in quantity, and I hand-carried stuff they had never seen before to those proud vets. To say that they were grateful would be an understatement. The ship's sponsor was Mary Mathews, wife of the Nick Mathews. 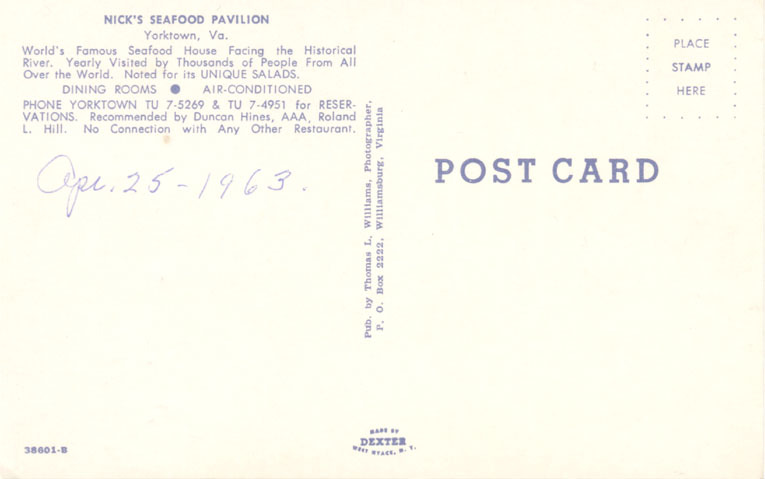 They were both first generation, proud and patriotic Greek-American citizens, owners of the world-famous Nick's Seafood Pavilion in Yorktown, and major supporters of the commissioning. The year before, when they journeyed to Mississippi with Warner so that Mary could christen the ship, Nick died on the way. Mary stoically did her duty in spite of that untimely tragedy. When it came time during the July 4, 1984 commissioning ceremonies to order the crew to 'bring YORKTOWN to life' - that honor was appropriately accorded to Mary Mathews. Medallions were distributed to all present at the reception that followed, and I was able to renew acquaintances with the CV-5 crew, and meet others from the CV-10 crew, as well. CV-10, the second NNS-built YORKTOWN is the museum ship in Charleston, SC. We saw Mary Mathews again, much later that same day. As usual, she was guarding the cash register at Nick's at dinner time, and directing people to tables as they became available (Nick's took no reservations - they didn't have to - and always had long lines of people waiting in line; especially during summer tourist season). WOWZERONI! Thank you so much for sharing this remarkable story with us, Bill! 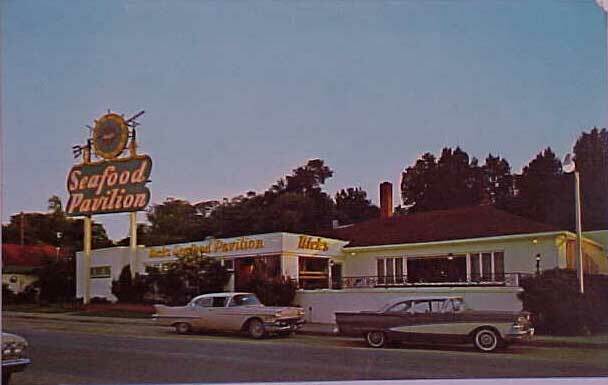 Bill Lee's (Warwick HS - '54 - of NC) memories of the commissioning of the ship, Yorktown, Nick's Seafood Pavilion, and Mary Matthews reminded me to share with the Typhoon Nation something special. Chef Jimmy, formerly of Nick's, is now offering bottles of the house salad dressing Nick's served for so many years...a real treat for those of us who miss the restaurant. It's available here in beautiful downtown Bena, Virginia, at a local general store, Almost Square. I'm sure it must be available somewhere in Yorktown, as well, but I don't know where. There is a phone number on the bottle for those interested in obtaining a bottle -- (757) 532-6437. WOWZERONI!!! What great news! Thanks for sharing that with us, Renee! Was replying to Renee Helterbran Benton's '59 article about Chef Jimmy (Krikales) formerly of Nick's and his salad dressing. Chef Jimmy is currently operating the RIVER ROOM at the Duke of York Motor Hotel on the water in Yorktown, Va.
We were there recently and the food is just like being at Nick's again. He has the enormous lobster tails, seafood shish kabob and most of all the "famous" Baked Alaska. Salads taste like they did at Nick's and are served with basket of assorted breads & the dressing is also sold at the restaurant. They serve breakfast & lunch from 7:00am-2:00pm and dinner 4:30-9:00pm. Casual atmosphere & worth the trip ! WOWZERONI - great news! Thank you, Donna! I greatly enjoyed reading Bill Lee’s (Warwick HS - '54) remarks about Mary and Nick Matthews and their connection with the USS Yorktown. When I began my law enforcement career as a York County Deputy in 1993 Miss Mary was still active at the restaurant and in the community. 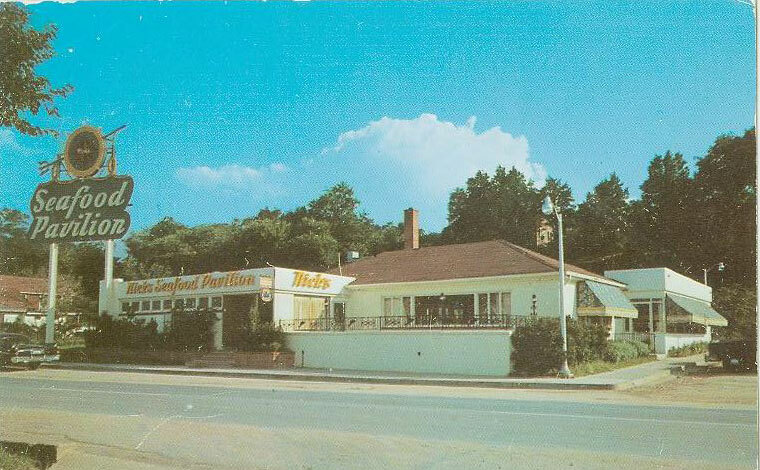 Many people did not realize there were many occasions when a naval vessel would pull into the Weapons Station, only to receive an invitation to bring the entire crew to Nick’s for a meal. Mary and Nick also donated to the Commonwealth the land used for the Yorktown Victory Center. Their burial site is on the grounds and maintained by the Jamestown-Yorktown Foundation. At Christmas Miss Mary would appear at the Sheriff’s Office with hams, turkeys and other treats for those of us working for the Sheriff. 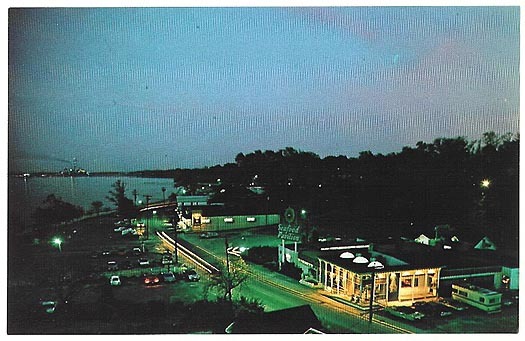 Miss Mary’s home was in Yorktown on the bluff overlooking the restaurant. During her later years the deputies would take her to work and return her home in the evenings. It’s hard to imagine two people who may have contributed more to their adopted country than Mary and Nick. It was my pleasure to be a part of those they touched with their compassion and generosity. I'd like to augment the already impressive story of Mary and Nick's generosity, as related by Dave Arnold ('65 - of VA) on 9 July. May I ask you to add the following? In the 1960s when I was a member, the York County Volunteer Fire Department depended heavily on citizen contributions to augment the county's limited funds. In essence, the county funded day-to-day operations; the volunteers had to solicit funds whenever a new ambulance or fire truck was needed. Mary and Nick were always amongst those that gave generously. In addition, each year the volunteer organization had an annual banquet for members and their wives. 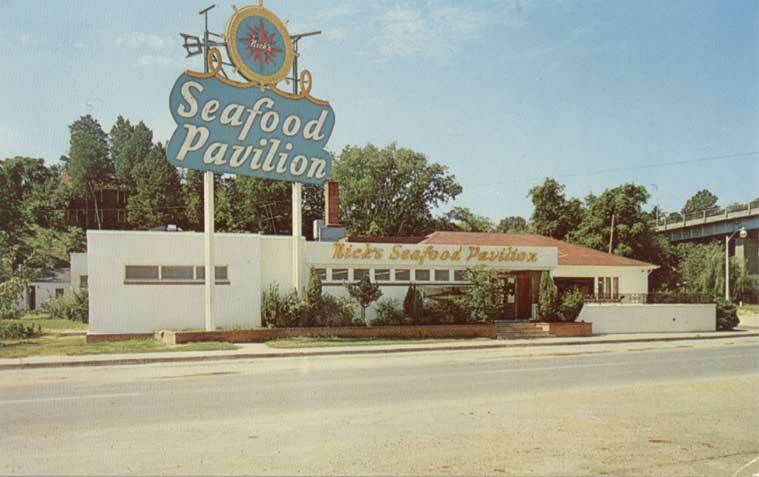 Those banquets were held at Nick's Seafood Pavilion. Each year, the entire event was paid for by Mary and Nick, in appreciation of our service to the community. But their generosity did not include alcoholic beverages. Nick always delighted, year after year, in telling us that he didn't want 'his' firemen to get drunk and be unable to save his restaurant, if it caught fire! Oh, what a delightful story! Thanks, Bill! "In honor of Nick and Mary, who were Greek, here's the midi:"